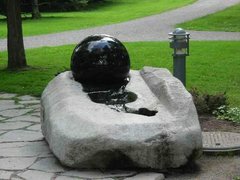 Worlds morden water feature –Stone sphere fountain –We are manufacturer of Granite sphere fountain 10 cm to 200 cm sphere diameter. 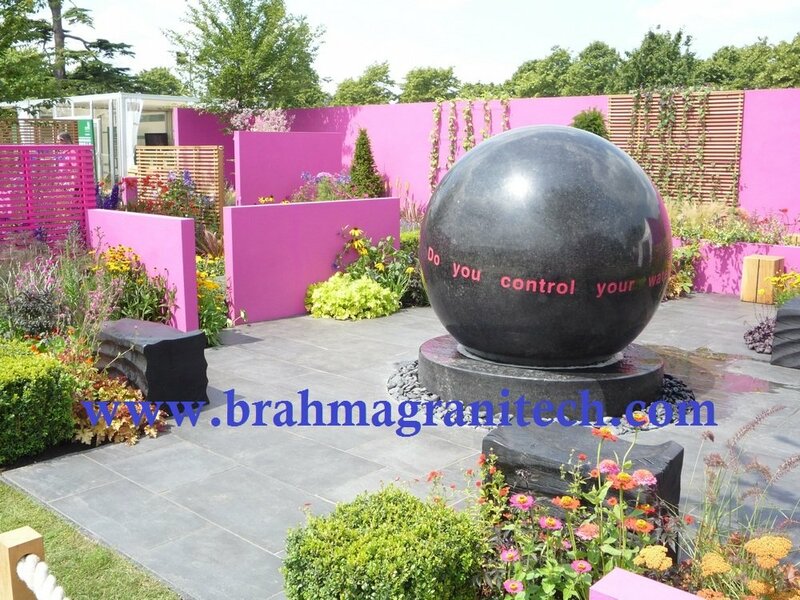 It makes a eye catching addition to any garden, big or small,science city or shopping mall throughout the year.See photos of sphere fountain in this page. 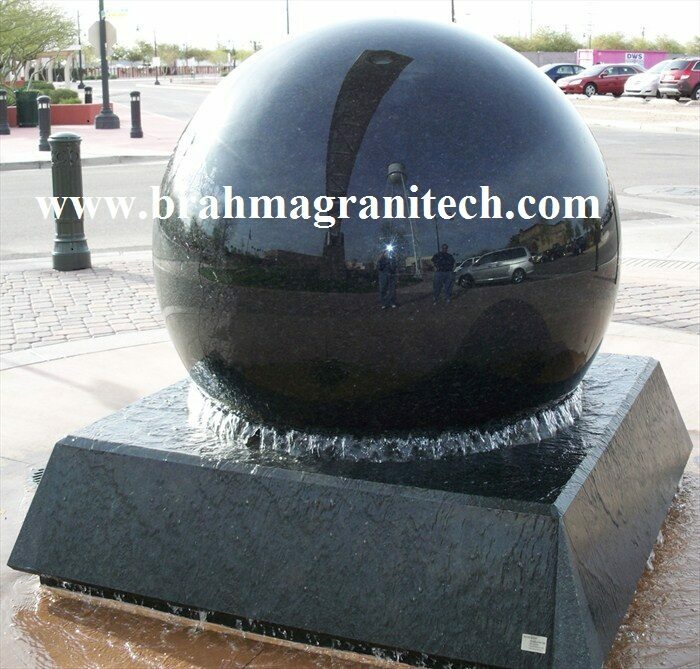 This fountain is a 12 inch solid granite sphere diameter to 120 inch large granite solid sphere diameter floats on thin film of water. child can change the course of it and send it into an accelerated spin. There are no belts, pulleys or wheels used to make the ball spin. It is floating on water. 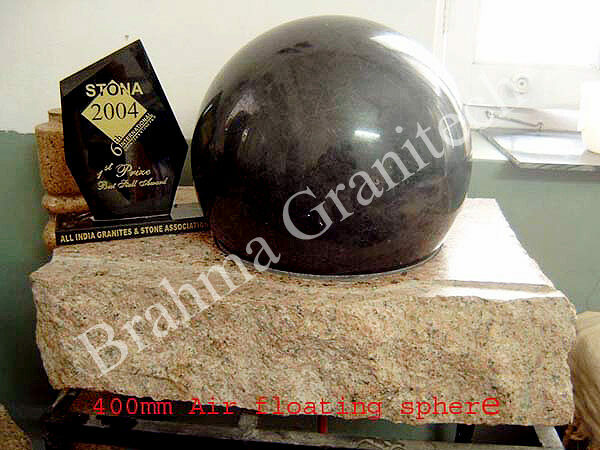 How Granite floating ball fountain Made? space between the two will be less than the thickness of a business card. 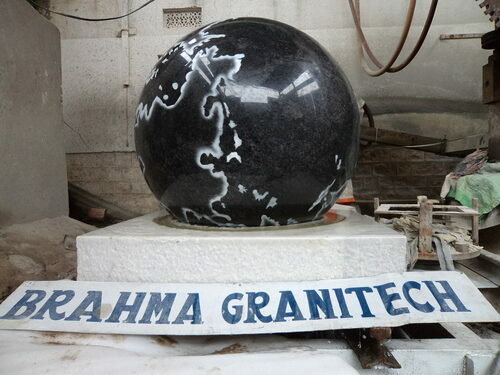 See if you can spin half a ton of granite! 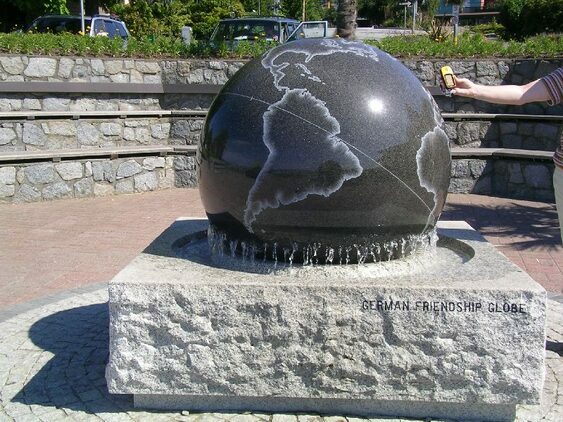 inches for this pressure to hold up to 1200 pounds of granite! 1 feet, 2 feet, 3 feet, 4 feet, 5 feet, 6 feet, 7 feet, 8 feet diameter. 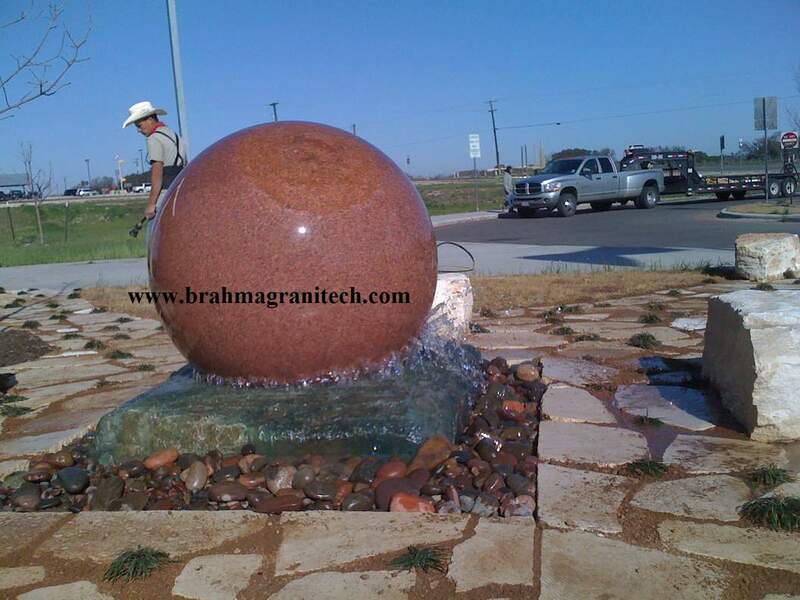 Sphere fountain is maintenance free fountain because sphere and base made from hard natural stone rock.Sphere floats on thin film of water no weer and tear between sphere and base stone.It is life time water feature in your garden.